Neon Flamingo features three exclusive organic and fair trade coffee blends by Dark City Coffee Roasters. Our Neon Flamingo special house blend embodies rich, full flavour in every cup. Our authentic espresso blend is smooth and rich for the perfect java shot. For our specialty coffee drinks we’ve crafted an exceptional velvety blend that bursts with impressive, rich flavour. Whatever your taste buds are craving, we have it! Choose from an assortment of delicious muffins, pastries, danishes, cookies, scones and biscottis. All of our delectable treats are baked fresh every morning to bring you the the best quality. 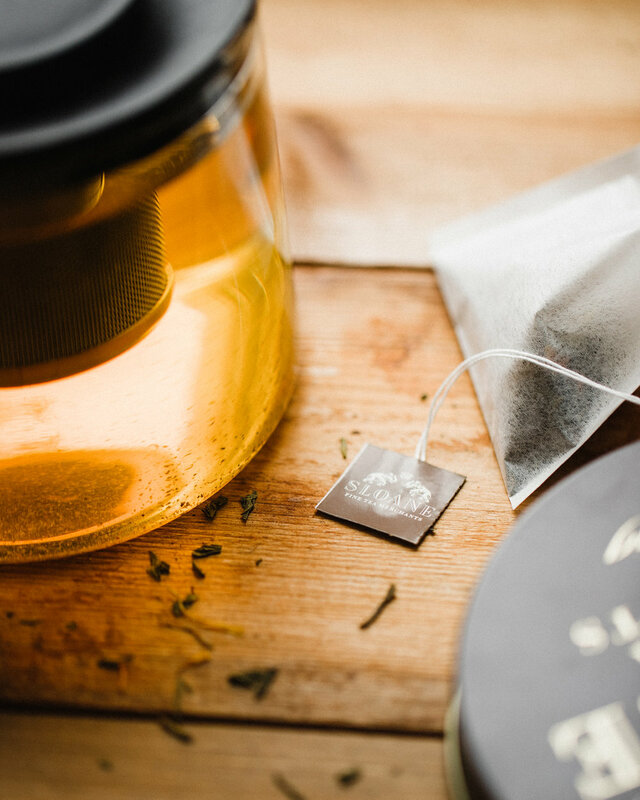 Handcrafted by tea artisans, Sloane teas are taken directly from the point-of-origin. Each Sloane Tea is individually sourced. Chosen from hundreds of tea gardens, Sloane Teas are carefully processed using centuries old artisanal techniques. The scented and blended teas are custom created by a team of Certified Tea Sommeliers and culinary experts. Exclusive to Newmarket’s Historic Downtown District, London Ice Cream features a number of flavours that will excite your taste buds beyond belief. We offer a selection of old-fashioned ice cream desserts including frothy ice cream floats, malted milkshakes, and a mouth watering assortment of homemade ice cream sandwiches.